FISH307.com is a Minn Kota Authorized Service Center. Our Service Rate is $80 per hour plus parts, applicable tax, and freight. 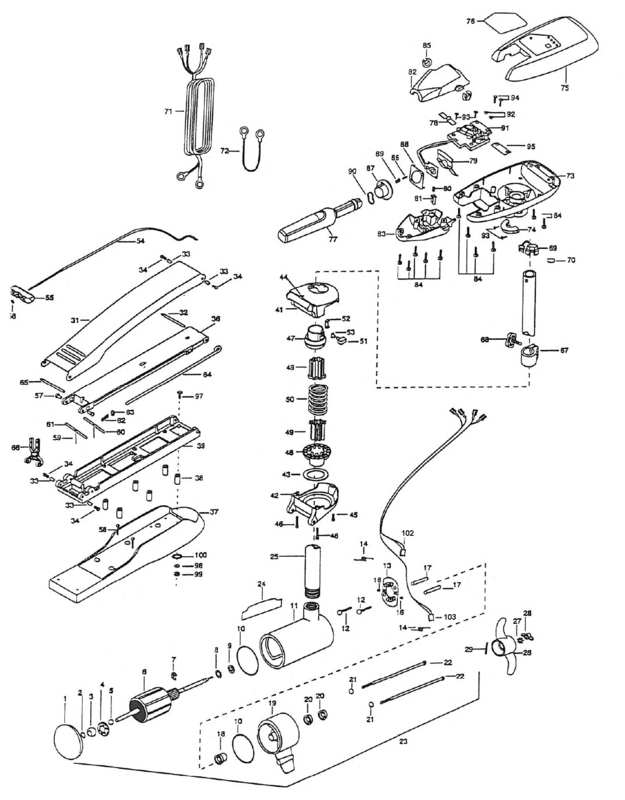 Use the schematic to find the part you need. Find the part needed listed in numeric order in the listings below. Enter the quantity needed in the "Quantity" box. Click the "Add to Cart" button. No returns or exchanges on any electronic parts, boards, motors, or switches. Replaces Part Numbers 2032082, 2032084 Please Note; Item may not ship internationally due to size restrictions.